Teri Cagle has been working with horses for over 40 years. 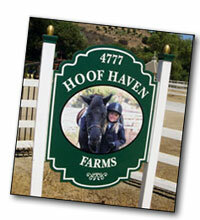 In May of 2006 she was thrilled to move her horses to a beautiful private setting in Fallbrook at Hoofhaven Farms. She is proud to offer quality instruction for adults and children from every level from the beginner to the advanced rider. Her classes include Equitation, Hunters and Jumpers. To encourage well rounded riders, there are occasional clinics with guest trainers. Horse show opportunities are encourage through schooling shows and traveling to rated shows. Horsemanship at an affordable price has always been one of our goals at the Pony Express Riding School!